When Carhartt and 47 Brand teamed up and created this hat in its first run, 2017, I loved it. SO glad they did this again in 2018. Fit is awesome. Fabric is classic Carhartt. People honestly can't believe it's a Carhartt hat! Very pleased with my brown 47 CleanUp hat- wish they were available in fitted sizes. It will get worn a lot. I think these look great, I am a distributor in the midwest and would order hundreds of this product if they carried the KC Royals. I'm really disappointed you didn't include them in your product line. I mean, shoot, they won the world series just a couple years ago!! Tigers x Carhartt, what's not to love? 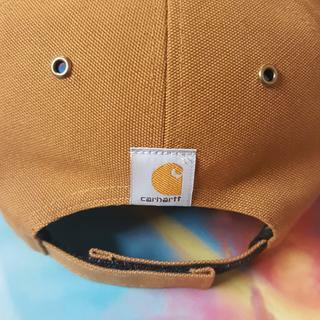 As a diehard Tigers fan, I was stoked to see that they were collaborating with Carhartt again this season on some hats. I bought the boxier Kenmore version last year & I love it but I also wanted something that was more classic looking. This hat is exactly what I was looking for. I've only had it for a few weeks but every time I wear it, I get compliments and questions on where the heck I got a Tigers hat made by Carhartt. Would be the price to purchase it. I love the collaboration from the two company’s. The hat seems to be very durable and will sure be run through its paces. Don’t sleep on this hat! This hat is made to last for a very long time. This isn’t your typical dad hat that you would usually find at lids. The material gives you a feel that it is made to be dependable and I just love the little carhartt tab on the back of the hat. It completes the look of the hat. I picked up the classic Carhartt tan today; love the fit and feel off it. So comfortable, it almost feels like I'm wearing a fitted hat! I may have to pick up another one as a backup! So there will not be a restock on brown? BEST ANSWER: We are sorry, but this item will not be replenished. BEST ANSWER: It's a slide adjustment for sure. I have this hat as well. The previous person that answered was correct, the MVP is velcro and this one is a slide type. I bought this cap and it is a slide adjustment. The other buyer's photo looks like the '47 MVP. 47 Brand uses the slide in this style of hat. BEST ANSWER: The MBL hats are being sold on Carhartt.com, at Carhartt Company Stores, '47 Brand Stores, the ballparks, and '47 Brands website. while supplies last. 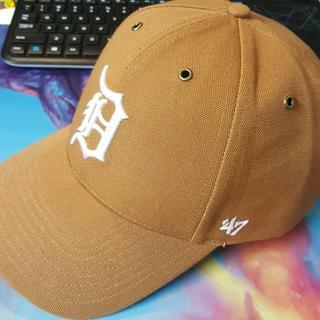 Is there an away color Detroit cap? BEST ANSWER: No, we only have the "home" navy and the Carhartt Brown caps.